For warmth and charm, nothing surpasses the beauty of wood floors and their exceptional beauty makes them easy to live with. Our 7-step UltraWear Plus finish with ScratchResist� adds a durable surface that never requires waxing or refinishing and provides greater resistance to everyday household scratches. 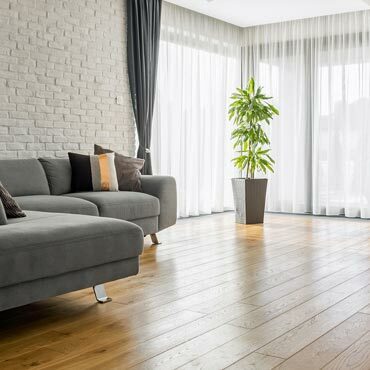 Of course, our UltraWear� Plus finish also makes our floors easy to maintain. Our 7-step UltraWear� Plus finish with ScratchResist� is a polyurethane/aluminum oxide finish that provides unsurpassed protection against normal wear. Each UltraWear� Plus step is an ultraviolet cured process we pioneered. It gives our solvent-free finishes wear-and-scuff-resistance along with depth and clarity you just can't get any other way. Waxing? Polishing? Forget it! ScratchResist� helps to protect against fine scratches that dull the finish of wood floors. Now available on all Mannington Wood Floors�. Click here for more information on ScratchResist�. 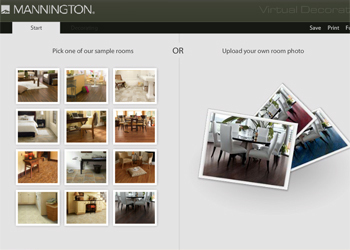 Mannington Wood Floors� are made to be installed virtually anywhere. At, above, or below ground level. In kitchens, basements, attics-places where ordinary solid wood floors can't survive. Our UltraFit� tongue & groove system is precision engineered using diamond-tip tooling. That means you get a uniform and stable fit whether you glue, staple, nail, or float your installation. Along with exceptional durability, our UltraWear� polyurethane finish delivers long-term protection against normal wear and scuffs. Just follow simple maintenance techniques like regularly sweeping or vacuuming, cleaning spills promptly, and strategically placing mats, rugs, and casters. No damp mopping is required.